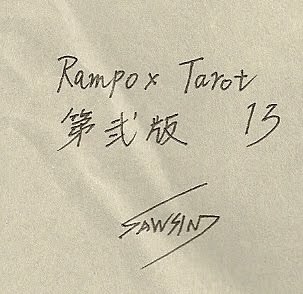 Sawsin (as he refers to himself), created the original set of tarot prints for an art exhibit in November 2011. 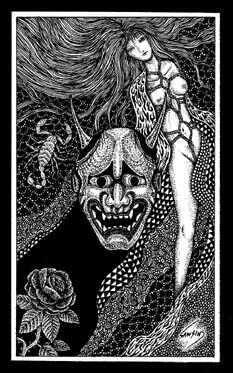 He also made 18 signed and numbered copies of a deck of the images, all of which sold out at the exhibit. He then created a second edition of 18 with a different card back image and title card which he offered on his blog. Mine is no 13 of the second edition. 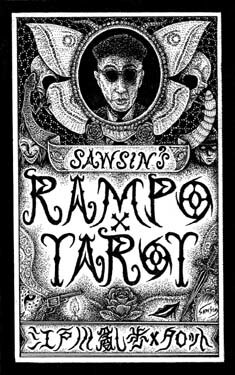 The Rampo X Tarot associates images inspired by the Japanese author Hirai Tarō (better known by his nom de plume Edogawa Rampo) with the tarot trumps. 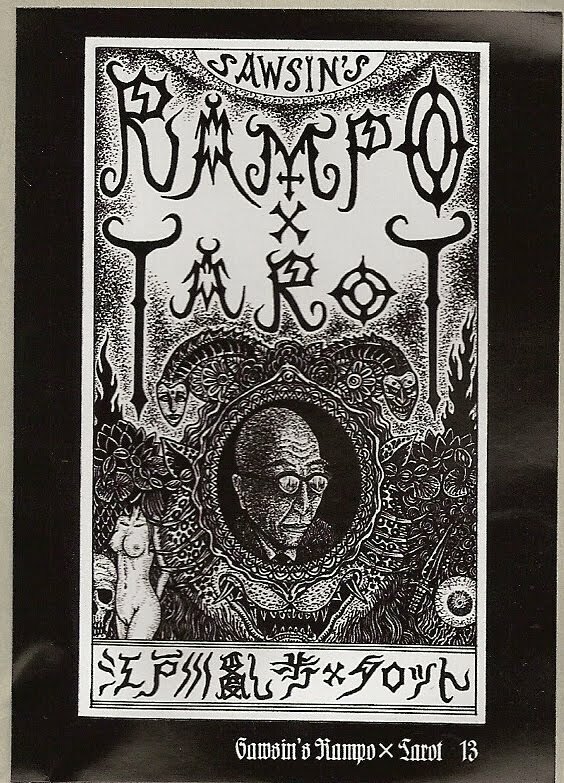 Rampo is generally credited as being the father of modern Japanese mystery literature.